We are here for our community....we are here for you! Every Pet Deserves a Home! Our shelter is not closing...our future is secure and we are here to help! 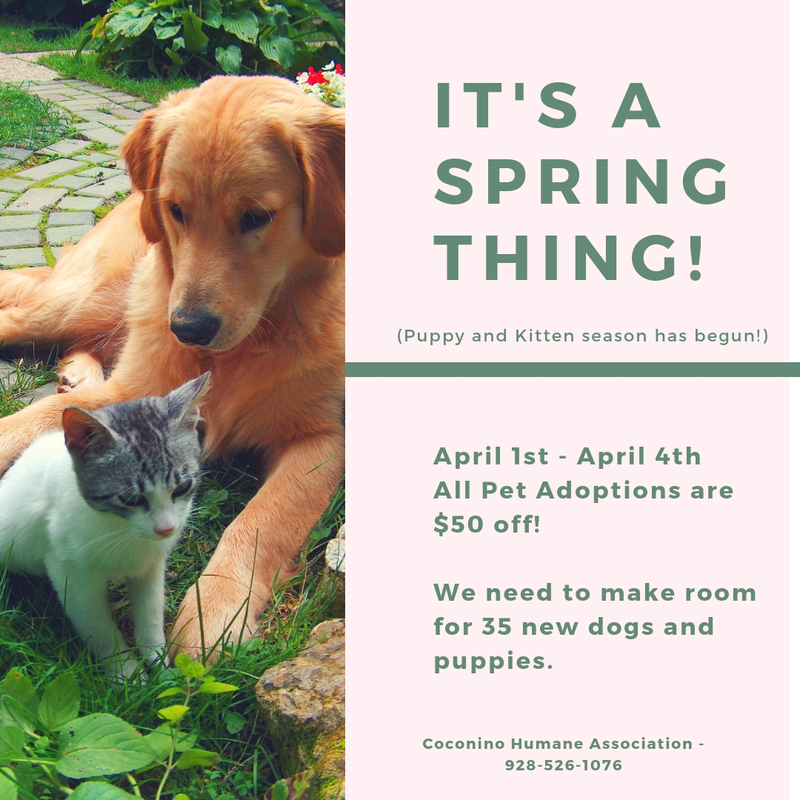 The Coconino Humane Association has been your animal welfare resource in the high country since 1955. We gave warmth and safety to over 5,000 animals last year – many with no other place to go. From injured horses to surrendered pets we are here for them because of you! We rely heavily on donations to save animal lives in our community and we will continue our commitment to you and to the animals that need us to provide needed programs and services in Flagstaff and beyond. This year our donors helped to spay or neuter 454 privately owned dogs and cats and assisted our low-income families to help reduce the number of homeless and unwanted animals entering the shelter. Donations supported our fight against the spread of disease, like Distemper, through vaccination programs for homeless animals – over 10,000 vaccines were administered! People like you made it possible to provide needed veterinary medical care to 541 animals that needed a lot of extra help to become ready for their new homes. You can't forget the thousands of families we helped to create this year through successful pet adoption placements…our doors are open because of you! Please be a part of the solution...spay or neuter your pets before YOU end up with an unwanted litter of puppies or kittens! One of the best (spontaneous) decisions I've ever made was adopting my dog Indigo from the Coconino Humane Society. Thank you for everything you do! To help with the March 30-31 activities. To help vaccinate the animals at Hopi 3/30-3/31. I am donating in honor of a special cat, Kitty. For Tangled Lilac photo session.